Elk River MN homes that are not connected to a Central Sewer System will have an On Site Wastewater Treatment System installed. The basic premise of an Onsite Sewage Treatment System is to collect, store, treat and filter sewage waste. Depending on your site conditions you may have any one of a number of Residential Septic Systems to do the job. 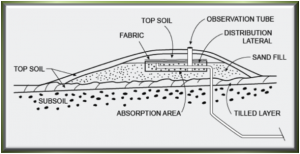 The attached diagram shows a typical Mound Septic System that can be installed by CSI Custom Septic Inc. of Big Lake, Minnesota. Water and Sewer from the home is piped out to an underground, airtight septic tank where the primary treatment process begins. Contents of the septic tank are separated by a natural process in which solids sink to the bottom, floating materials rise to the top and liquids rest in the middle. Solid waste remains in the bottom of the tank where bacteria begins to organically break down the sludge. The septic tank will need to be pumped out periodically as it begins to fill up. Liquid waste, known as effluent, is allowed to flow from the tank due to gravity or by a septic pump system. Effluent typically travels on to a drainfield where microorganisms work to purify the liquid as it trickles through perforated pipes, gravel, dirt and sand. The Septic Design that is best suited for your property depends largely on the Soil Type, Site Location, Site Conditions, Size & Slope of the property and Local Regulations. CSI Custom Septic, Inc. can help you to determine the Best Wastewater Treatment System for your individual lot and home. We will look at all of the deciding factors and design a septic system that fits your needs perfectly. Custom Septic Inc. (CSI) is a locally owned and operated Septic Contractor located in Big Lake MN and in Northern Minnesota. CSI provides Professional Septic Designs, Septic Installation, Upgrades, Inspections and Repairs. 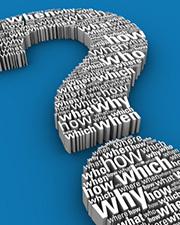 When you call CSI Custom Septic Inc. you will speak directly to one of the owners of the business. We believe in providing honest, reliable septic services at a fair price. Our reputation was built on Quality Workmanship and Excellent Customer Service.